The Tamarind canoe safari is our most popular lower Zambezi canoe safari over 4 days from Chirundu down to Mana Pools World Heritage Site. 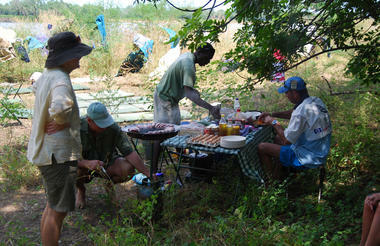 One of the best ways to experience big game and real African wilderness. Our Lower Zambezi canoe safaris start from Kariba, 600km downstream of Victoria Falls. Paddling through the silent, deep gorges below Kariba. 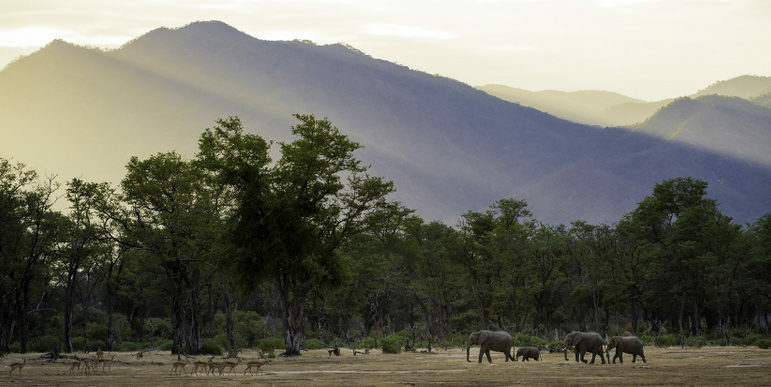 Through the languid but wild mainstream past Mana Pools to the largest, most remote, least populated and undeveloped safari areas – through Chewore, Sapi and the Mupata Gorge to Kanyemba. 230km of untame adventure! 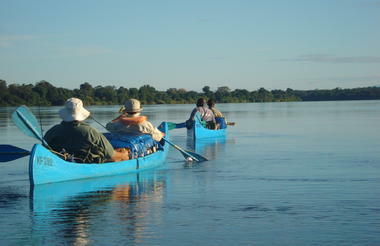 When’s the best time to take a Zambezi canoe safari? These trips are available throughout the year. Fairly tame: A 4 day shoreline trail from Ruckomechi down to Chikwenya. 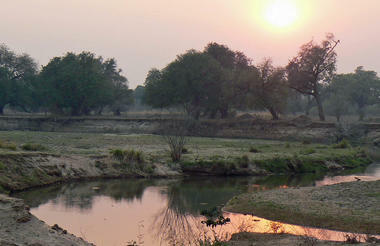 It’s the full Mana Pools stretch in the World Heritage Site. The trip starts from a 4 star premier lodge with first class hosting. You move onto basic backed up camps for 3 nights.  They’re 1 star. Encounters en route, land, water and otherwise are 5 star. 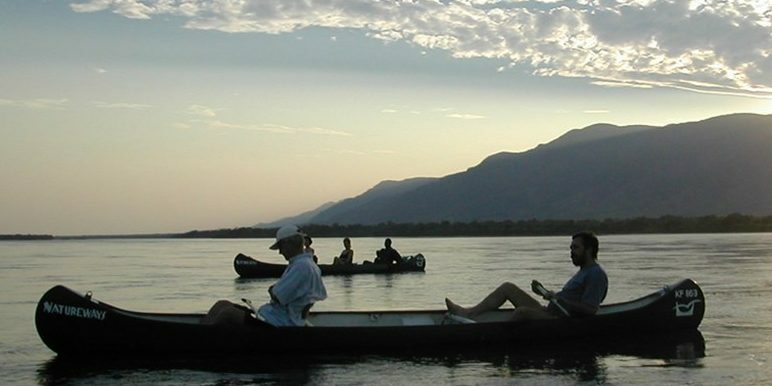 Adventure: We start from Kariba or Chirundu to do 4 or 6 days worth of canoeing. Your 19 foot Canadian canoe is well laden with provisions and camping kit. Your paddle will hold a mosquito net over a warm bedroll en route. In the wet season you’ll even have a small tent to keep you dry. Irrespective of season you probably won’t sleep much! The days are full and active, you’ll see a million stars at night. Intrepid: We can include some premier lodging at the start and end of this bucket list experience but we get back to basics on these canoe safaris. We delight in doing all 230km camping style. The Kariba-Chirundu stretch is epic but quiet, the Chirundu-Mana is first-class wildlife. Fewer than 200 souls canoe the remote lower stretches each year. The full 10 day trip down to Kanyemba is worth a gazillion stars. 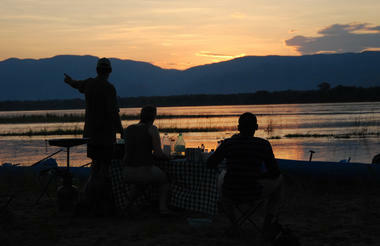 Private safaris can be arranged for up to 8 people in a party. Big game in a true African wilderness - paddle silently through deep gorges and languid waters under the watchful eye of our top notch professional guides. Early pick up from your hotel in Kariba. 4x4 transfer to Canoe HQ for briefing. Load up the canoes. Lunch on the river. Set up island camp on Kakomarara around 5pm, safety talk, relaxation and dinner. Rise at dawn, tea/coffee, biscuits then set off for a couple of hours paddling, stop for breakfast and canoe until midday. Lunch and siesta 'til mid-afternoon setting up camp on Lone Acacia Island. Routine as day 3. 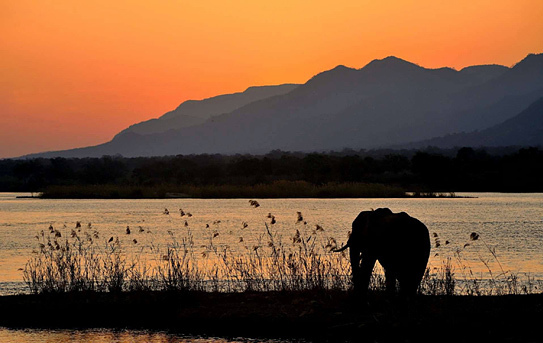 Mana Pools NP is one of Africa’s best game-viewing regions. Discover wildlife, diverse fauna and walk in the riverside forests. Stop at Trichelia Island to set up camp. A more leisurely start this morning, pack up camp and set off, canoeing to Mana Pools,a arriving around 10am for your return to Kariba by approx. 3pm. •15 years of age and above full adult rate. "Canoe Safari – July Hi Liz! We just returned from our 6-week trip and are finally settling in enough to attend to our email messages 🙂 Sorry for the delay." "Zimbabwe July:: We had an amazing time. everything was really well organised and I have to say the trip is probably one of the best organised that I have ever"
"Mana Pools Canoe – September Hi Mark Just wanted to let you know that Ruckomechi and the Mana Canoe Trail were amazing. It is said that Zimbabweans are the kindest"